The Empower Dream’s team would like to share with you some of the praise reports of 2015. Funded an additional 3+ Acres (Empower Dreams funded the entire 24 acres where the school has been built) for Cornerstone Preparatory Academy (CPA). CPA is a new world-class school for orphans and Internally Displaced People in Kenya’s famous Rift Valley. Started the funding to complete a water system for Cornerstone Academy. Empower Dreams facilitated the 2nd Annual Maai Mahiu Ministry Summit at Naomi’s Village to bring the more than dozen area ministries together to encourage each other and become more effective through sharing learnings. Provided funds for a home for a young family in the Neema IDP camp in Maai Mahiu, Kenya. Provided a computer, printer, and scanner for Flow of Hope. Flow of Hope is a ministry to widows, orphans, and street children in Maai Mahiu. Provided funds to Eleeo Project for a greenhouse, help with infrastructure improvements at the agricultural training center, and to help with well drilling costs. Provided the necessary funds for a high quality local language voice over for the video presentations that go with a complete three-volume set of culturally appropriate discipleship materials. Funded the 9th Annual Peru Christmas Outreaches. There were 13 outreaches that reached over 2,500 children in cooperation with Rich & Wanda Ferguson’s Peru Master’s Commission and local Peruvian Pastors committed to the long term discipleship of these children and their families. Reconciliation Outreach Banquet Sponsor and ministry gift. 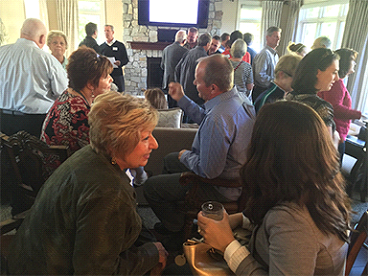 Ohio Prayer Partner Event to thank, update, and have a time of prayer with the most important part of Empower Dreams, our prayer partners. 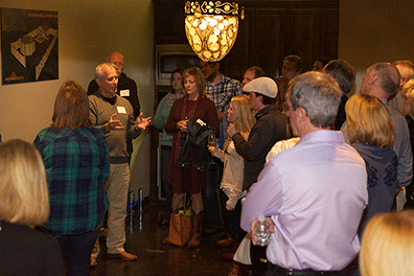 Held our 1st fundraiser called Raising Smart Water to supply water to a very important school in Kenya’s Rift Valley. All our global partners in Kenya, Zambia, Peru, and Asia were visited by board members to encourage them and to ensure accountability for all the funds invested. We are so thankful for your support, time, and energy for the projects God is providing Empower Dreams and look forward with great anticipation to this journey with God in 2016.